Handy Calculator | Mac App Storeのアプリ検索・ランキング BuzzMac! Handy Calculator: nothing unneeded… just functional, convenient and stylish! •Becomes nearly invisible when inactive! 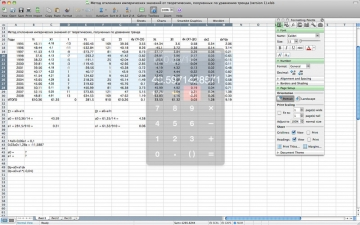 •Copy the current result with a single click on the calculator’s display pane. •Can paste in any number or calculation sequence. •Can handle and display long numbers, set through an item in the View menu. Handy for professionals, programmers and scientists. •Works with any language or keyboard layout! 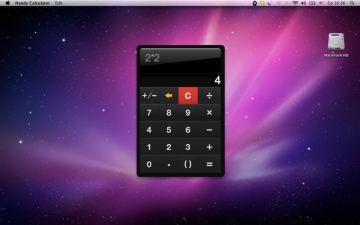 •Lastly, it’s a convenient and stylish calculator to assist your work and embellish your desktop! 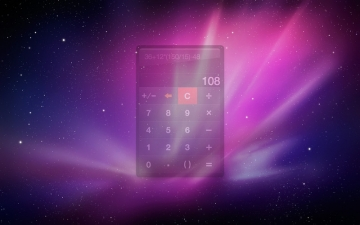 There are all sorts of Mac calculators… pretty ones, beautiful ones… some are nearly works of art. But all this eye-candy can get distracting. So we’ve created a single-colour Apple-style calculator that won’t strain your eyes. Simple yet stylish. Some calculators have tons of tiny buttons for every function imaginable. But in everyday life, it’s much more useful to have a big convenient [+] button than one for sine. That’s why we decided to equip our calculator with only the most basic functions: +, -, ×, ÷, ± and fractions. Though it can handle parentheses too. It’s got everything needed by the typical computer user, office worker, businessman or schoolchild; and most students too. Everything is handy and user-friendly. When you’re busy punching in numbers, you often need to see what you did before, to be sure it wasn’t a mistake. With our calculator, you can type in all the numbers and see them together, for example: 5+9+37648-9805+(3879×78). Once you’re sure everything is OK, go ahead and press [=]. You’ll quickly get used to this feature, and won’t want to be without it. 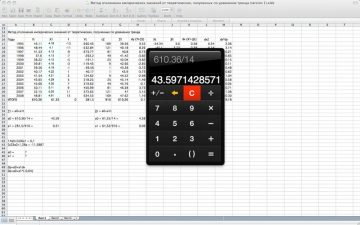 You can copy the current result into your computer’s memory with a single click on our calculator’s display pane, or by pressing [⌘][C]. You can then re-use it in documents or other calculations. When normal calculators are close to a document, they quickly become distracting. And repeatedly docking/undocking the calculator wastes time and breaks your concentration. We’ve come up with a better solution. When our calculator is active, it’s a bright colour; when it’s inactive, it becomes 80% transparent and barely noticeable. Even though it’s still handy right next to your document, it isn’t annoying. This feature turned out to be much more useful than we expected.